CCN takes the use of technology in teaching to a new level. 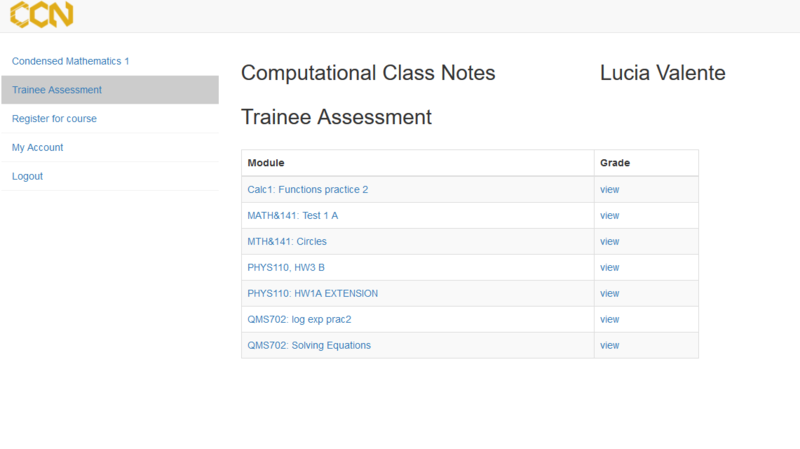 From the professor's material, we produce integrated class notes, practice materials, homework, quizzes and tests. Our computational framework provides unlimited and interactive variations in material, auto grading, live analytic's and auto uploading to LMS. The result is reduced cost, decreased dropout rate, increased student success & grades; and more effective use of the professor's time. We transform your notes to a modern online and accessible format that includes interactive elements to help the student understand the content at a fundamental level. 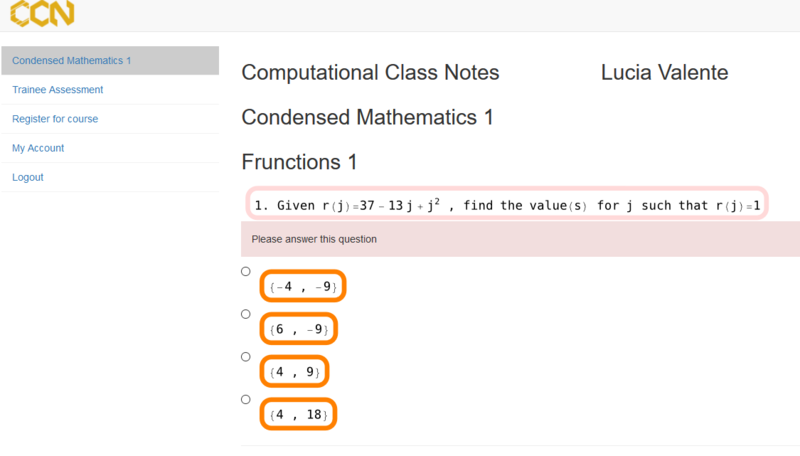 Students complete auto graded homework that is unique to each student. Each student accesses individually distinct and exclusive questions with unique URLs. 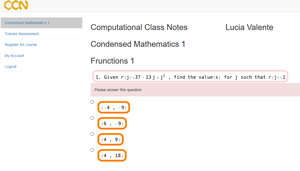 In-class quizzes offer students unlimited variated questions – no two students answer the same question. 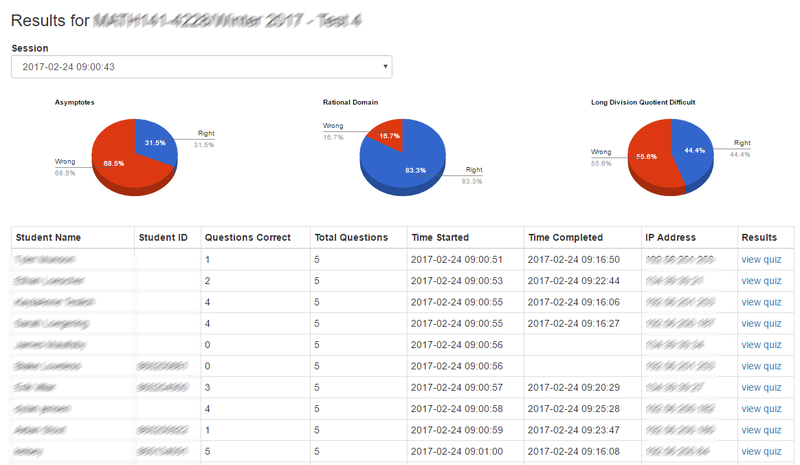 In-class quizzes generate live analytics that provide the professor with immediate insight to tailor and customized lectures. 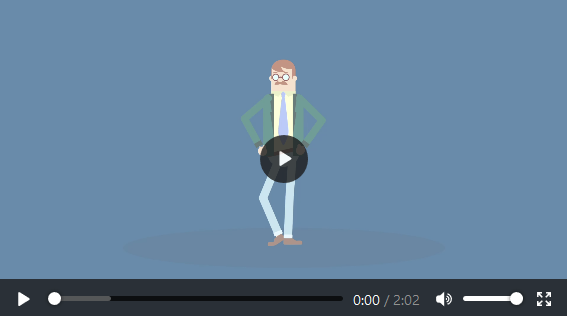 Professors can obtain, in real time, student results. 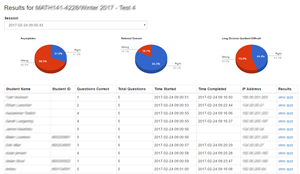 The analytic s are granular and show live results of student responses. This permits professors to focus on those specific areas where students require more attention. 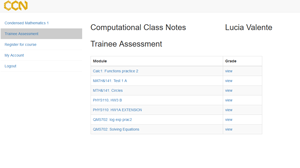 Classes can be refined and customized to meet current student learning outcomes. As a former Math 141 student in Professor Kelsoâ€™s class, the pilot program was not something I had expected walking in the first weeks. But CCN really did help me further my math education, as well as Mrs. Kelso did. The program helped me figure out how to factor and become more efficient at it. Which has helped me throughout Math 142 and Calculus I, this quarter. Having been a part of an initial deployment by Computational Class Notes, my colleagues and I see the power of the technology specifically when deployed on the cloud. We have seen the response from our students through more effective learning â€“ moving through the material more quickly. I can now provide to my graduate students the most advanced content that is dynamic and variable. Using live code, I can present relevant and varied examples to demonstrate specific content. 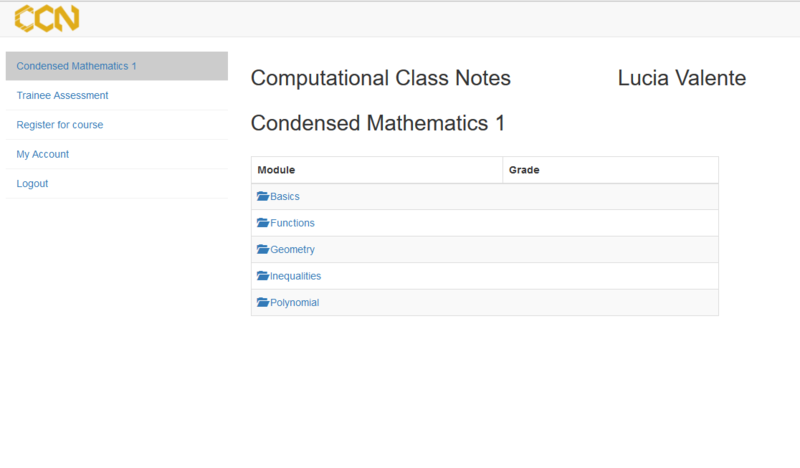 …..I can now provide weekly homework, that is graded and integrated to the LMS .... The homework provides unlimited practice variations, thus ensuring that students have a firm grasp of the subject matter. 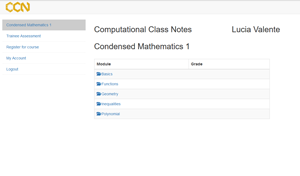 For a student that is motivated to perform well in Precalculus, the Online Notes are a great supplement for Professor Kelso's fast paced Precalculus course. I have learned some useful things for the Online Notes, that are not readily present in the required Precalculus textbook. Over the past few years I have had the great privilege to work with a group of people whose values and ethics are aligned to mine. The CCN team is a mix of young men and women across the globe whose careers are beginning working alongside mature business executives. Together we combine our passion, energy, enthusiasm and commitment along with competence and high value skills to establish an amazing global organization that is challenging norms. Whats most important to me is the values and ethics that we each share and bring to our work. In founding CCN, I have been able to live my long term vision of marrying my various passions. Of paramount importance, commitment to education, fairness in opportunity and receptiveness to possibilities with challenging existing education norms that are not meeting the needs of many of our modern students. I want to challenge head-on existing educational structures and publishing empires that are building their success on the backs of students while, not always providing the education that meets the future needs of humanity. My decision to found CCN and its non-profit sister organization, Loss of Generality, is based on my concern about the failure of education. Wayne has been a technologist all his life. From early days of disassembling his first digital clock to current multi-device distributed system he has been peering under the covers and trying to make things work better. Wayne and Dara worked together on a number of different projects before the CCN concept came into being. 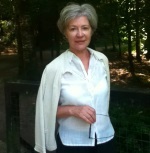 I met Lucia when she worked with me at The Anne Sullivan Centre in Dublin. Our strong values and business ethics are very much aligned. We both share a belief in building successful organizations with others and using a collaborative approach to management. We are very committed to growing and developing teams while building success together. As well as managing the finances and auditing processes, my work with CCN involves being a sounding board to Lucia and the team with regard to new opportunities for growth. Creating a totally new approach to publishing professorsâ€™ material - digitizing their work into discrete modules that can be purchased individually, pricing the material and working with Wayne to set up the revenue stream is exciting work. Specifically as we all work virtually, in several time zones and are dealing with a totally digital product and sales process. My involvement with CCN began even before the company was established. As a student at University of Toronto, Canada, I worked with the embryonic technology and learning methodology that helped me obtain my undergraduate degree in Actuarial Science and Statistics. It was my first time to be exposed to programing and how using computer based visualization of concepts can enhance learning. I have since completed my actuarial designation and completed both FA and P certifications. Imran is completing his undergraduate degree in Psychology at University of Iowa and plans to attend Graduate School to study Computational Neuroscience. Imran began his training with CCN in Spring 2018, working with the CCN team testing mathematics modules. Using CCN’s modules and methodology Imran experienced what many of the students who use our modules experience – his understanding and learning of complex concepts exponentially increased. 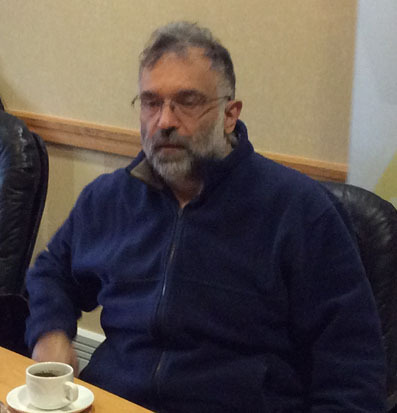 While continuing on his training path with our team in Ireland Imran’s role involves working collaboratively with the CCN team members in North America, Palestine and Nigeria. As he gains more experience his focus will be in the area of life sciences as CCN’s research in that field expands and it is aligned to his graduate studies. 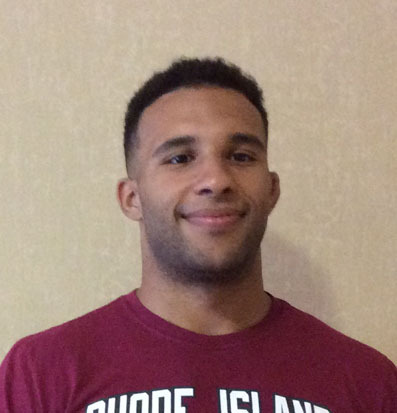 Imran is also involved with athletics at university, which requires a tremendous amount of discipline and dedication. The modules really helped imran study and learn new concepts without impeding on his obligations to the university. 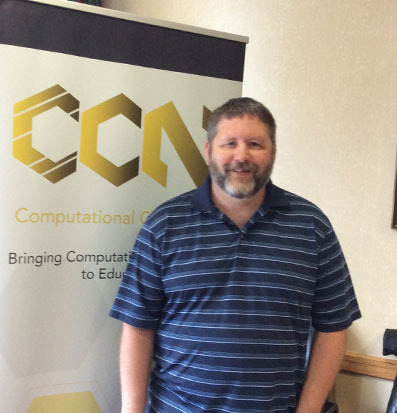 Imran’s comments when he initially began working with CCN, “Using the modules, I’ve learned more math than ever before in a short time. The modules teach me by taking core math concepts and applying them to an infinite number of challenging practice problems. There is no cheating and each question provides a solution whether you choose the correct or incorrect answer. In the early 1980’s Dara completed his graduate studies in computer science in Boston. 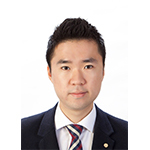 Since graduating, Dara has continued to enhance his skill and knowledge through research and development and achieving two patent approvals in the US. Earlier in his career he was the founder of a media company indexing audio and video content from major providers such as CNN, CNNfn, C-SPAN, Weather Channel and NASA-TV. The company’s servers hosted 500,000+ hours of video in MPEG format fully indexed and delivered over the Internet. Managed the R&D and the business development. Locating to Ireland in 2017, Dara joined fledgling Computational ClassNotes and has been the visionary Chief Architect collaborating with Wayne Allen, CTO and the team. 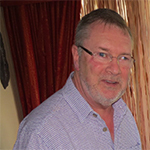 Dara brings his extensive expertise in mathematics, computer science, physics and extensive business experience to CCN. 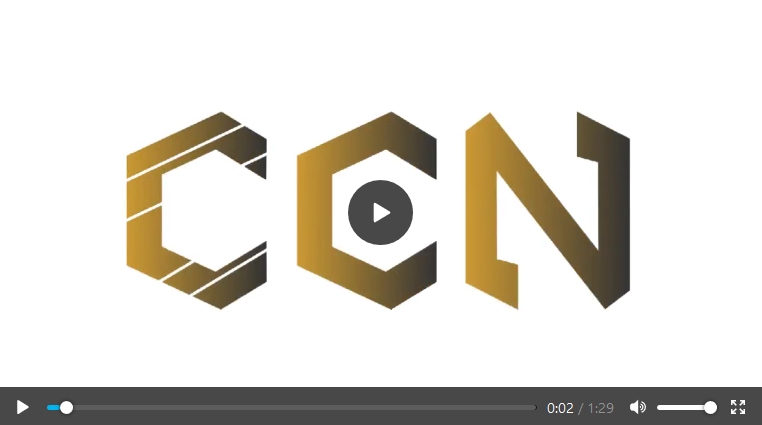 Most recently CCN, through Dara, is engaged in advanced research projects with Irish and Canadian universities utilizing CCN’s proprietary Artificial Intelligence (AI) algorithms.